On my first foray out of my smelly little cave, I'm offering a 10" DG LP which I found yesterday in the collection of my late father. 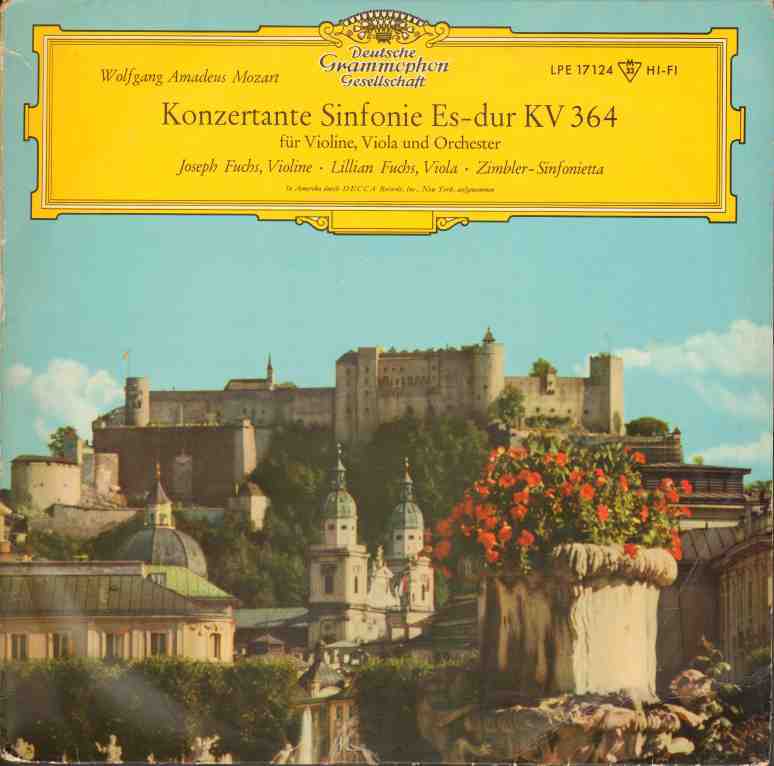 I used to play his discs a lot as a teenager - in fact, that's how I started listening to classical music - but I don't remember this one, which I've recently become curious to hear, so I was very happy to come across it! 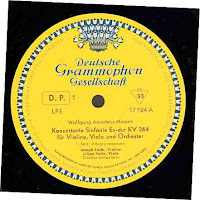 An American Decca origination which Michael Gray dates to 1951; this German issue is apparently quite late, to judge from the printing date of December 1958 on the back of the sleeve! I think this was also the recording which had come out in the UK on Brunswick AXTL 1018 (issued c. October 1953). I feel it's come up quite well in my straight transfer - no processing other than the miraculous ClickRepair and monoing. Matrix info etc. is in the tags. Please let me know of any problems! Apart from the poor quality jpegs, for which I apologise - they looked great when I did the scans and reduced them and now they look a bit rough! I've read about this performance as being a particularly sensitive one. This is my favorite pieces of music. I look forward to listening! Thanks a lot for this one, Nick. That's a very very nice start for your blog !!! A great start for the blog! Wow. What an excellent post! the sound quality is wonderful. Comparable to my all time favorite, the Oistrakh Kondrashin on Decca. Many thanks for this.